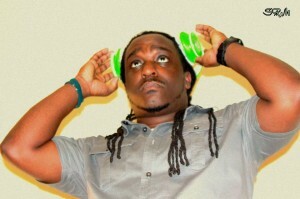 DJ Killa Blendz is arguably the hottest unsigned DJ in the South! Born In Flint, Michigan and mainly raised in Boiling Springs, South Carolina, you can say this young man has seen it all. The dread headed, converse wearing style of Killa Blendz makes him a stand out of any crowd. He stars in the biggest clubs and party events in the upstate of South Carolina. Willing to travel, he has ventured into different areas of the state, and always looking for a road trip. Beginning his music career as a MC or also known as a Hype Man, He is very comfortable with being the livest and funniest person in the building. Running and keeping a strong relationship with the college community has kept Killa Blendz constantly booked for numerous college parties. DJ Killa Blendz has also Dj’d along side and/or for various infamous artist throughout the state. Some artist include Pleasure P, Ying Yang Twins, Future, Plies, Young Joc, & More!! While keeping his solo dj career on track he is also apart of the Heavy Swag Djs. The most decorated DJ collaboration in the upstate performs for all major clubs and performances brought to the city!! Killa Blendz is a crowd pleasure, a record breaker, and a bonafide party starter who loves nothing more than to have people buzzing about his performance. Booking DJ Killa Blendz isn’t an investment…..its an experience! !